Sanjay Rawal is human rights activist & award-winning documentary filmmaker – and disciple of Sri Chinmoy. His newest film – “3100: Run and Become” – captures the esoteric, spiritual side of running with the Marathon Monks of Mt. Hiei in Japan, the Kalahari bushmen in Africa, the Navajo Nation in Arizona, the forests of Finland and the streets of NYC, tracking the famed Sri Chinmoy Self -Transcendence 3100 Mile Run. This is a conversation about running as a path for enlightenment. Enjoy! Concert video of Sri Chinmoy’s Hannover performance as part of a European tour in 2005. Filmed by kedarvideo. 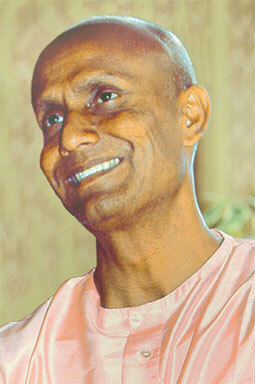 Highlights of the Peace Concert by Sri Chinmoy (1931-2007) in Dresden, Germany, in 2005 as part of a European Concert Tour. Filmed by kedarvideo. 85-year-old Geoff Oliver set not one, but three new age-group records in the Sri Chinmoy Self-Transcendence 24-hour race (popularly known as the Tooting 24) in London, U.K. over the weekend, as buckets of rain poured down on the proceedings. Oliver appeared to be carrying an umbrella as he walked the track. Then he showed up for the the medal ceremony in a suit and tie. In fact, there were no previous records for 85+, so he knew that whatever he managed to do, he would set a record. Oliver covered more than 77 miles on foot in a 24-hour period at the Tooting Bec track in south London.